The lion has roared! Zlat’s The M-a-n!!! 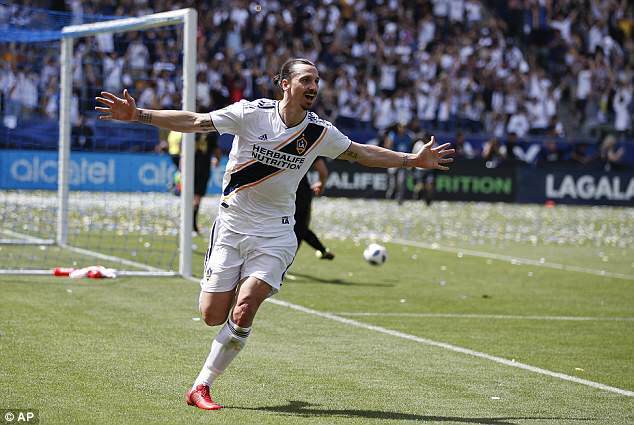 Any doubters questioning whether Zlatan Ibrahimovic still possessed the mobility and fitness to make the grade on the other side of pond were silenced emphatically after a match-winning LA Galaxy debut. 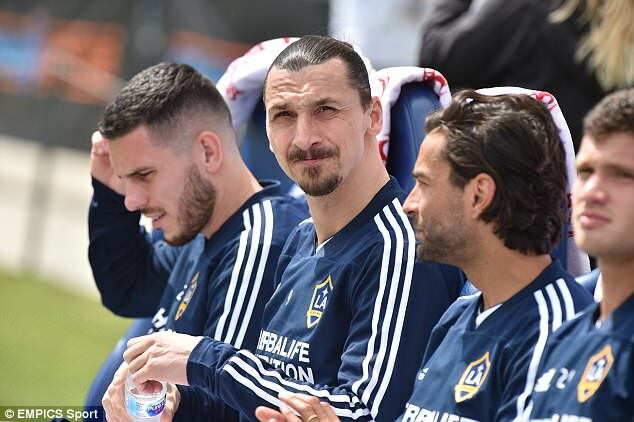 In a mere 20-minute cameo off the bench, Ibrahimovic prompted wild scenes in the inaugural Los Angeles derby after his brace saw the Galaxy produce an unforgettable comeback. Trailing 3-0 early in the second half after an utterly one-sided encounter, Galaxy had reduced the deficit to 3-1 by the time Ibrahimovic he was introduced. That quickly became 3-2 and the stage was set for the Swedish icon to grab the headlines in typically audacious fashion. 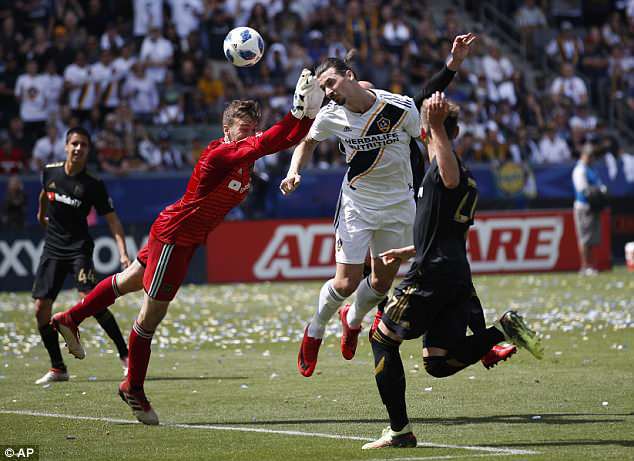 A stunning half-volley from 40 yards out levelled the scores and left Galaxy’s StubHub Center rocking, before Ibrahimovic’s last-minute header secured local pride in the first meeting with MLS new boys LAFC. Galaxy’s neighbours – co-owned by the likes of Will Ferrell and Magic Johnson – had been threatening to take some of the limelight away from the most successful club in the league’s history and they were in prime position to burst the Ibrahimovic bubble after a dominant first half. Former Arsenal winger Carlos Vela has been LAFC’s star signing and while he struggled to make the grade at the Emirates, he still enjoyed a successful career in La Liga at Real Sociedad and he emphatically demonstrated that quality. 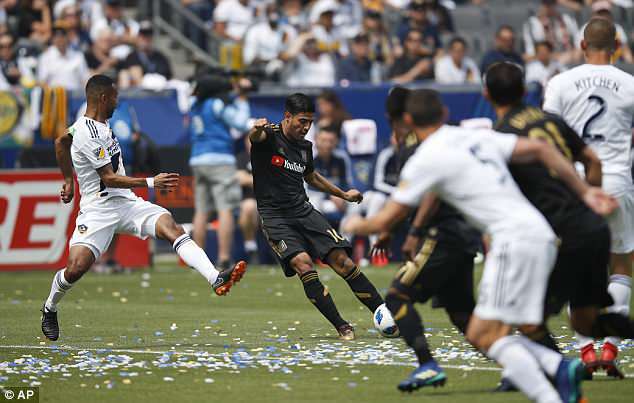 Galaxy were culpable of allowing Vela far too much time and space to dictate the tempo of the game, and they paid the price, as he helped himself to a brace of first half goals. It took him just five minutes to break the deadlock after he received a square pass on the right-hand side of the box, cut inside Galaxy captain Ashley Cole and curled a wonderful left-foot shot into the far top corner. Diego Rossi was a whisker away from doubling LAFC’s advantage when he latched onto Vela’s well-weighted ball over the top and sent his shot just beyond the far post. But the reprieve was only temporary, as Vela grabbed a deserved second for the visitors in the 26th minute. LA Galaxy: Bingham; Feltscher, Steres, Skjelvik, Cole; Kitchen, Carrasco (Husidic 63); Pontius (Romney 84), Lletget (Ibrahimovic 71), Boateng; Kamara. Subs not used: Vom Steeg, Lassiter, Hillard-Arce, Kilmenta. Los Angeles FC: Miller; Beitashour, Jakovic, Ciman, Braganca; Feilhaber (Blackmon 82), Kaye; Blessing (Atuesta 68), Vela, Rossi; Urena. Subs not used: Harvey, Kovar, Pacheco, Zimmerman, Lyon. There was a slightly slapstick element to it after Vela was left in acres of space to the left of goal, 12 yards out. He rounded keeper David Bingham, performed a pirouette and then managed to chip the ball into the net off the underside of the bar, despite the efforts of three Galaxy defenders on the line. Ibrahimovic spent the first half watching motionless from the bench, not evening warming-up as he saw the troubles of his new side, who were admittedly without injured Mexican internationals Jonathan and Giovanni dos Santos. 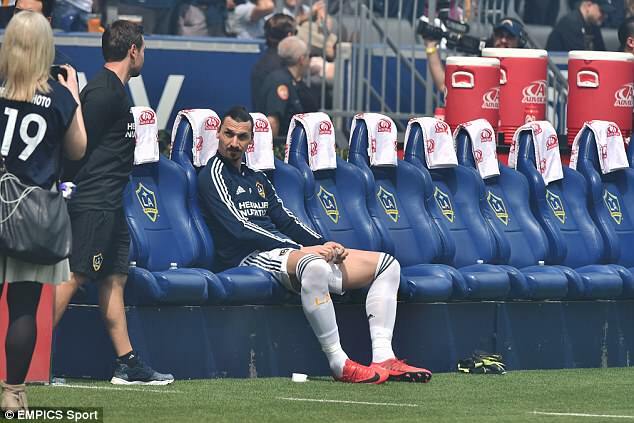 Back on the bench at the start of the second half, Ibrahimovic watched Galaxy slip further behind just three minutes after the restart, following more appalling defending. Latif Blessing freed Marco Urena down the right-hand side of the area and his attempted pull-back to Vela was carelessly bundled into his own net by centre-half Daniel Steres. The goal finally prompted Ibrahimovic to begin limbering up. He even managed to chat with a ball boy as he went through his stretching routine. 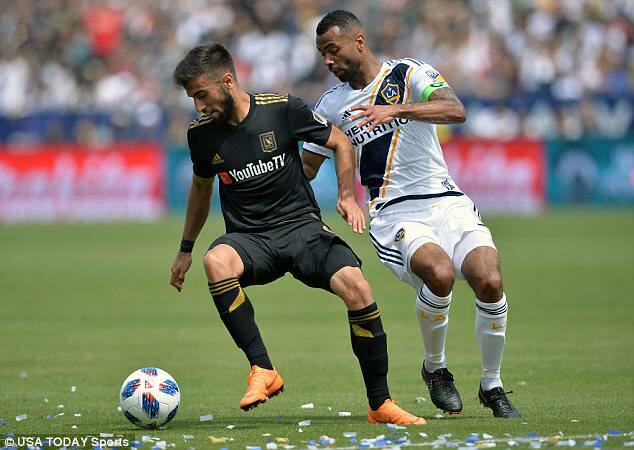 By the time he was handed his debut 20 minutes later, Galaxy had already pulled a goal back after LAFC midfielder Benny Feilhaber was caught in possession and Servando Carrasco fed Sebastian Lletget, who slotted the ball into the net from just inside the area. Within two minutes of Ibrahimovic coming on, Galaxy had further cut into LAFC’s advantage after Emmanuel Boateng’s left wing cross was headed home from six yards out by Chris Pontius. The stage was set for a moment of pure Zlatan gold. The ball bounced kindly for him 40 yards out and he sent an outrageous half-volley over the head of LAFC keeper Tyler Miller into the net. Ibrahimovic tore his shirt off, as the StubHub Center rocked with delight. There was still time for LAFC to go perilously close to regaining the lead in the 86th minute after Urena sent a shot against the outside of the near post. But as has been the case throughout his decorated career, no-one was going to steal the limelight away from Ibrahimovic. In the final minute, Cole sent a cross in from the left and Ibrahimovic got to the ball ahead of the keeper to divert a header into the far post.